Enjoy the ebook risk free. If you are not happy with the ebook, you can receive a 100% refund within 7 days. 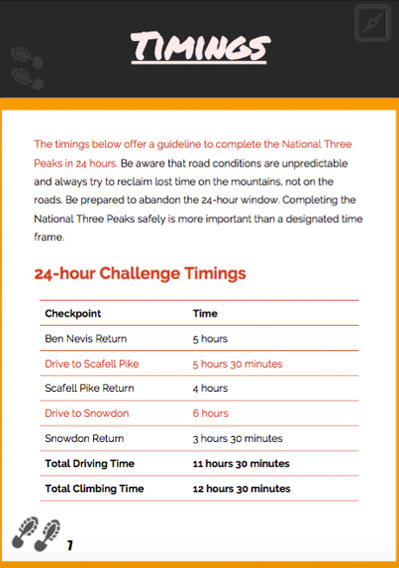 This ebook will see you through the National Three Peaks Challenge without a hitch. There are photographs to familiarise yourself with each of the mountains accompanied with step-by-step instructions guiding you to the top. 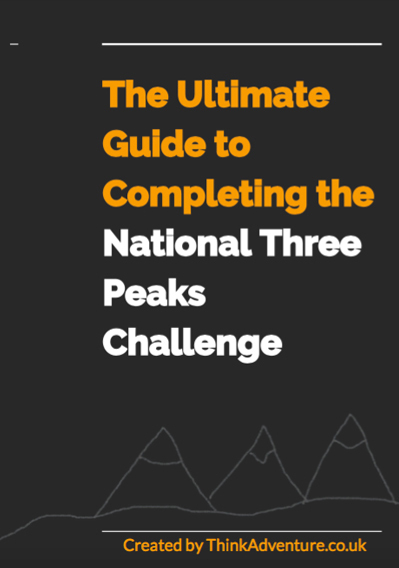 You can use this ebook to conquer the National Three Peaks in 24 hours or over a longer period of time. This book provides a thorough guide for completing Ben Nevis, Scafell Pike and Snowdon. There are some important turns, without signposts, and it is important that you know the route up each mountain. With the ebook you will know with confidence that you are walking the correct way. You can print the book or download it to your smartphone. The ebook is a collation of information from the Think Adventure website. 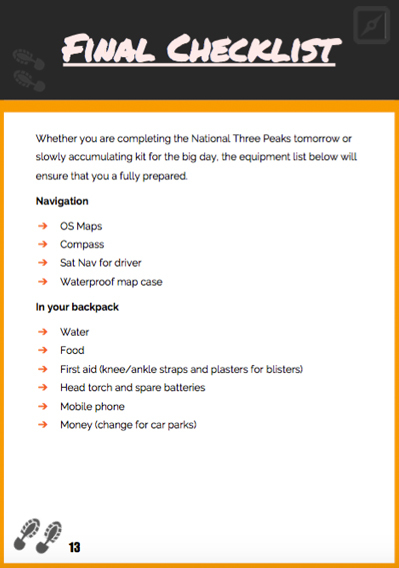 It is organised to assist your planning and completion of the National Three Peaks Challenge. 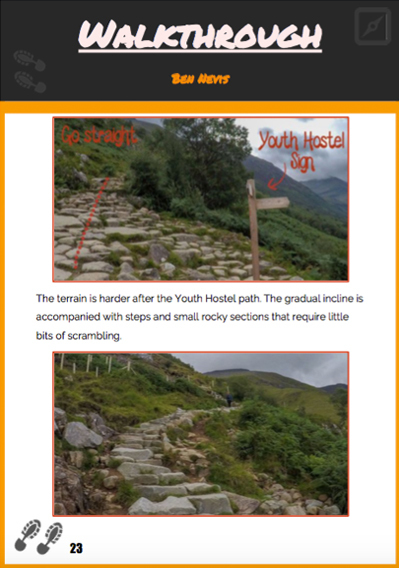 The ebook is a PDF and can be viewed offline and taken with you to Ben Nevis, Scafell Pike and Snowdon. 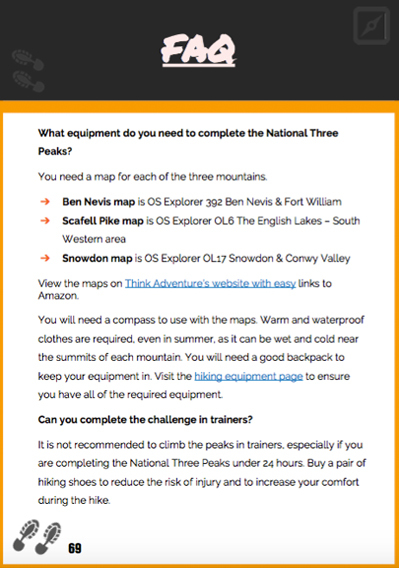 In addition to the ebook, you will receive the GPX files of the National Three Peaks Challenge routes. 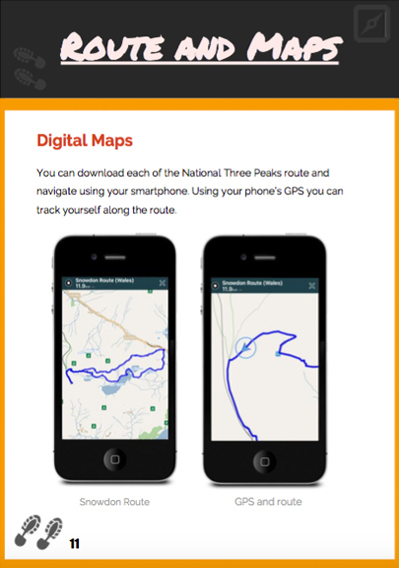 You can load the routes on to your smartphone and use your smartphone's GPS to guide you. All proceeds from this ebook go to the development and maintainance of the Think Adventure website. Your contribution helps the site to grow and people continue to benefit from the information provided on the Think Adventure website.